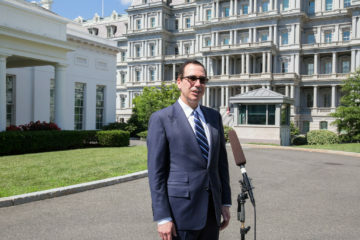 Treasury Secretary Steven Mnuchin reportedly advocated for President Trump to pardon his friend Michael Milken, who in 1989 pleaded guilty to six criminal charges for securities fraud, and paid $600 million in related fines. The New York Times reported that Mnuchin took a flight on a private plane owned by Milken in January, from Washington to Los Angeles, apparently for personal reasons. CREW filed Freedom of Information Act (FOIA) requests with the Treasury Department for communications between Mnuchin and anyone else about pardons. CREW previously requested communications about the trip, and the reimbursement. 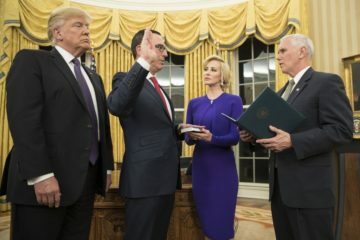 CREW requested all communications since January 1, 2019 from Secretary Mnuchin that includes the words “pardon” or “pardoning.” The records would shed light on Mnuchin’s advocacy for his friend and whether there was any link between the flight and Mnuchin’s advocacy on Milken’s behalf. Secretary Mnuchin and his wife purportedly used a government plane, rather than a commercial flight to view the solar eclipse.